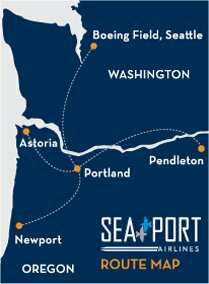 Bid Per Roundtrip Ticket valid for ANY flight operated by SeaPort Airlines from Seattle Boeing Field Airport, Portland International Airport, Eastern Oregon Regional Airport At Pendleton, Newport, Oregon Airport or Astoria, Oregon Airport or VICE VERSA! This is a Bid Per Ticket Auction. Bid for the price you are willing to pay for a single ticket. When you win, you may request up to 6 tickets at your winning price. For example, if you win this auction for $50, then you can get up to 6 tickets for $50 each! Reservations are subject to the availability of specific classes of service as contracted with the carrier and not every flight or date may be available. Seats are not currently held on any specific flights and reservations will be made after submission of travel dates by the customer. 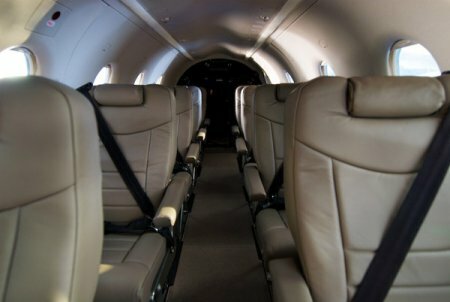 Bid Per Roundtrip Ticket valid for ANY flight operated by SeaPort Airlines! It all comes down to time and convenience. If you could cut your travel time in half, and not have the general hassles of the full airport experience, wouldn't you do it? 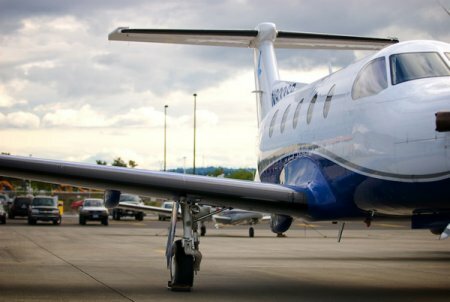 Flights in and out of Boeing Field, just 6 miles from downtown Seattle. Our own private terminal in the business aviation area at PDX. No TSA hassles at any of our locations. Arrive 15 minutes before your flight, even with check-in bags. Valet parking right in front in Portland, and free parking just steps from the plane at Boeing Field and Pendleton. Prior to submitting your travel dates kindly check flight schedules on SeaPort Airlines website, click here to be linked to SeaPort Airlines website. There is no minimum stay or maximum stay. Tax and service charges are $30 per person roundtrip additional. As with all the auctions reservations are subject to the availability of specific classes of service as contracted with the carrier and not every flight or date may be available. Bid price is per person.